Thermo Scientific Sorvall ST 8 Small Benchtop Centrifuge Blood Tube Rotor Package - NEW - LabTrader Inc.
New, unused. Fisher list price is $4326. 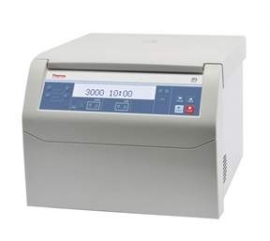 Includes Sorvall ST 8 Centrifuge, Ventilated. TX-150 Swinging Bucket Rotor. Round Buckets (Set of Four). ClickSeal Biocontainment Lids (Set of Four). Adapters for 5/7mL Blood Collection Tube (set of Four). Adapters for 10mL Blood Collection or 15mL Corex/Kimble Tube (Set of Four).